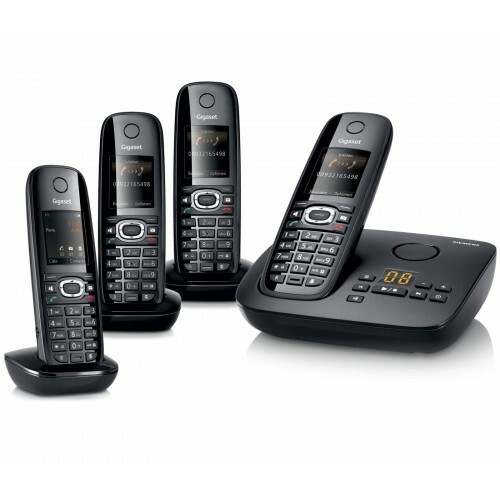 Make the most out of your landline with this stylish set of four cordless telephones from Gigaset. Each chic black handset boasts a high-quality 1.8” full colour display, ergonomic keypad, access to intuitive DECT features, and are enhanced to deliver the best sound quality. 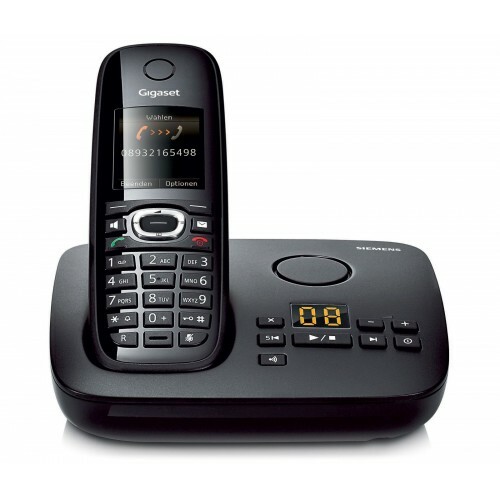 The Gigaset C595 benefits users with an impressive talk-time of up to 12 hours, reliable range, and a convenient integrated answer machine for up to 45 minutes of messages. With four handsets you can make the most out of the C595 with a range of additional features available with more than one handset. Each handset can be assigned a unique name of up to 10 characters, making it easy to place internal calls to other areas of your home or office. Further advantages include: a phonebook with space for up to 150 contacts, which can be conveniently transferred between the handsets to keep them all synchronised; and operation of the in-built answering machine from any of the four cordless handsets. 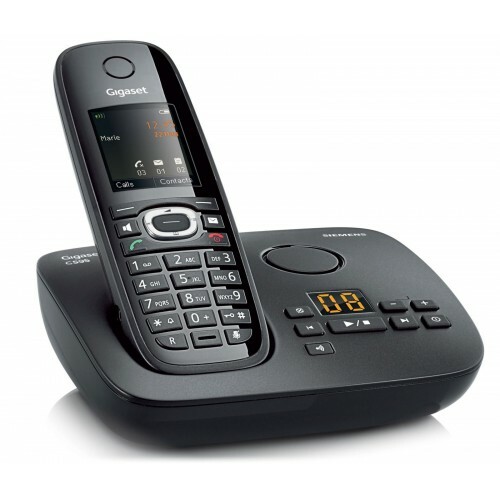 With the C595 you can expect to enjoy conversations in outstanding clarity, thanks to Gigaset’s HSP technology, which enhances the quality above that of a standard landline phone for a clearer more natural sound on calls, free from any interference or distortion. Would be better with extra loudness/volume function ?. Good service delivered quicker than expected. would use the company again for other items in the future.